Almost three decades after we first got a glimpse into the life of Tracy Beaker, the wily, headstrong girl who rode the ups and downs of life in care, author Jacqueline Wilson is bringing Tracy back – as an adult. She’s the latest in a line of fictional favourites who made it into adulthood, thanks to their creators. Here’s what we know about how Tracy’s doing now, and what became of some other children’s characters who grew up. Jacqueline Wilson is bringing Tracy back to literary life as a 30-something single mum trying to make ends meet. Fans will know Tracy as a funny, bolshy 10-year-old living in a care home. The book launched the highly successful TV series of the same name, starring Dani Harmer. The new book, My Mum Tracy Beaker, will be told from the point of view of Tracy’s “challenging” nine-year-old daughter Jess. “I’ve always thought that, even though Tracy had lots of problems in her life and a pretty rubbish mum who was never there for her, Tracy herself would be a good mum, no matter what,” Wilson said. Dani was just one fan feeling a little bit excited about the news. So will Dani be back to play the grown-up Tracy in a potential on-screen adaptation? Fingers crossed. The first of Sue Townsend’s comic series, The Secret Diary of Adrian Mole, aged 13 3/4, was published in 1982 and the eighth instalment, Adrian Mole: The Prostrate Years, was released in 2009. The Secret Diary and its follow-up, The Growing Pains of Adrian Mole, made Townsend the best-selling novelist of the 1980s. The writer said that, in many respects, her hero mirrored her own experience. Sadly, Sue had planned to publish more of Mole’s mid-life adventures but she died in 2014. 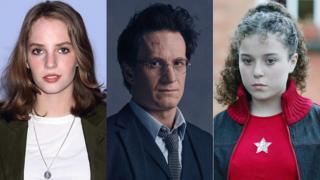 Ok, so we’re slightly cheating here as we’re talking about Harry Potter and the Cursed Child – a play rather than a new book instalment – which is based on an original JK Rowling story but co-written by Jack Thorne and director John Tiffany. 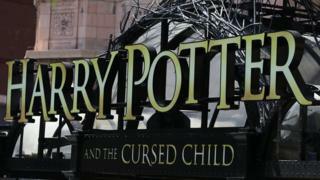 However, the West End two-part show was still published as a book, billed as the “eighth Harry Potter story”, and sees the return of Harry, Hermione et al as adults. The grown-up Harry is an overworked employee of the Ministry of Magic, a husband and a father of three children. His youngest son Albus has to take on the weight of the family legacy. The production has not disappointed – the play won five-star reviews from critics when it debuted in 2016, with one describing it as “a game-changing production”. Classic American novel Little Women (1868) introduced the world to Jo March and her sisters and was soon followed by Good Wives. But while Jo was lauded as a feminist hero in the original two books, many felt author Louisa May Alcott had sold out with her later books, Little Men and Jo’s Boys. Alcott, a single woman herself, had intended Jo to remain unmarried but bowed to pressure from both fans and her publisher. Little Men and Jo’s Boys follow the lives of the dozen boys Jo and her husband Professor Bhaer teach at their school. But many fans of the original book were left yearning for either Jo to marry childhood friend Laurie instead, or perhaps even better, not marry at all. Canadian author Lucy Maud Montgomery’s novel Anne of Green Gables, published more than 100 years ago, has been enjoyed by both adults and children. 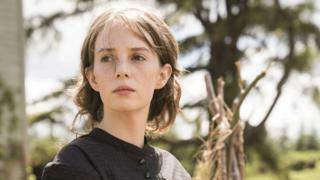 Generations have been charmed by the adventures of 11-year-old orphan Anne Shirley, with her famous red-hair in pigtails. But Montgomery evidently decided she was onto a good thing, writing a series of six books detailing Anne’s life up until her mid-fifties. So we see her becoming a schoolteacher in Anne of Avonlea, through to her marriage in Anne’s House of Dreams, and then as a mother-of-six in Anne of Ingleside. Montgomery then wrote books about Anne’s children’s lives, in which Anne also features – why quit when you’re onto a good thing?